These devices and products allow Covidien Medical Supplies to be effective in a multitude of settings including hospitals, doctor’s offices and even in homes. With product diversity and some of the most well-known and respected names in healthcare, Covidien Medical Supplies provide a multitude of great, quality products in a cost-effective and economical manner. Covidien products are distributed worldwide through brands such as Kendall, Medtronic, Mallinckrodt, Nelicor, Puritan-Bennett, Autosuture and Valleylab. AMD antimicrobial dressings: Covidien Medtronic wound care products offer a highly effective antibacterial polymer called PHMB. This eliminates bacteria that other products cannot. AMD antimicrobial foam dressings: By controlling moisture and bacteria in the wound, Covidien medical products allow an ideal healing environment. Alginate dressings: These Kendall products help the healing process through an ionic exchange, therefore aiding the epithelialization process. Hydrogels: Kendall Healthcare offers wound dressings and impregnated gauze utilizing hydrogels and amorphous hydrogel to support optimum wound healing. Foam dressings: Medtronic (a Covidien brand) offers providers and patients alike a full line of foam dressings to protect/cushion a variety of wounds. Island dressings: These Medtronic wound care products come in a variety of options, such as Kendall and Tefla, for convenient and easy wound care. Kendall transparent film dressings: Consisting of a thin polymer film that is coated with a hypoallergenic adhesive, these are great for IV sites, burns, etc. Kendall alginate hydrocolloid dressings: The sterile wound care items are ideal for light-to-moderately exudating wounds. 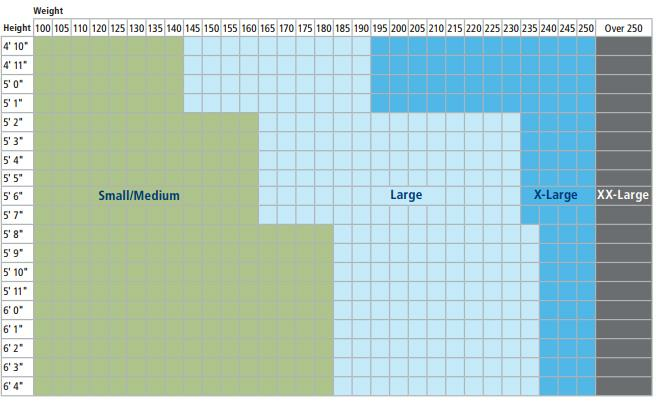 Underpads: Medtronic offers a variety of absorbency levels and moisture control. Briefs/protective underwear: These are available in a variety of absorbency levels for adults, youths, and bariatric patients. These are discrete, low-profile and disposable. Pad and pant system: Wings incontinence pants and liners, combined with Simplicity pad and liners make up this system from Medtronic. Undergarments/guards: From light incontinence to bladder leakage, these pads and guards are effective and discrete. Cleaners/washcloths: Specially formulated to deal with incontinence, these products maintain skin integrity since skin and incontinence is not a good match. Maternity care: Products that are specifically designed by Medtronic to deal with incontinence during pregnancy include nursing and maternity pads, knit pants and cold peroneal pads. Juvenile care: Medtronic medical supplies offer includes crib liners, diapers and training/youth pants. One great example is the Medtronic Covidien Wings Contoured Insert Pad which provides protection from moderate-to-heavy incontinence utilizing a superabsorbent polymer for fluid absorption. Cutting-edge design allows Covidien to provide for just about any incontinence issues. Compression stockings can help a multitude of patients suffering from a wide variety of maladies, from diabetes to those with limited mobility, to avoid thrombophlebitis. TED is an abbreviation for thromboembolic disease. Covidien Kendall provides a wide variety of quality compression stockings to fit just about anyone’s needs. Covidien supplies TED compression stockings that help return venous blood from the lower extremities therefore minimizing the possibility of blood clots. 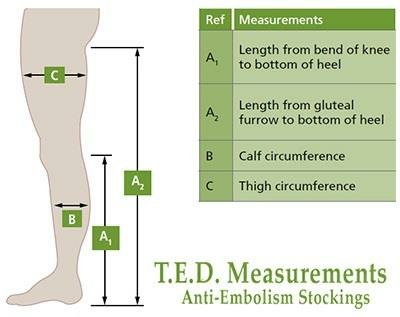 Medtronic Covidien TED Anti-Embolism Stockings are often prescribed by doctors to not only treat, but to also prevent possible medical problems down the road. Many times these Covidien medical products may be prescribed to be worn as much as 23 hours a day, with one hour removed for bathing or showering. Covidien provides TED stockings predominantly in two styles: knee-high and thigh-high, with an open- or closed-toe option. 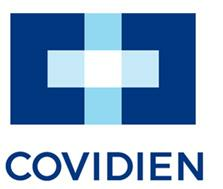 Covidien medical products are an industry leader in the field of tracheostomy. Covidien offers tracheostomy patients tracheostomy solutions with innovative Shiley tracheostomy tubes. For over 40 years they have provided innovative designs that have created an abundance of tracheostomy success stories. These devices simplify patient care and provide the correct fit while maintaining airway patency with the goal of patient safety and comfort front and center. From neonatal to pediatric to adult tracheostomy tubes, innovative cuffless and TaperGuard cuffed tracheostomy tubes tailor the needs of each patient and incorporate a variety of sizes, a soft citrate-based plasticizer material and a clear flange to optimize patient comfort. Many Shiley tracheostomy tubes are available with disposable cannulas in both adult and pediatric versions and there are tubes available with reusable cannulas for patient care flexibility. Covidien urological products tackle a wide variety of incontinence and catheter issues. Many of these products offer unique features and meet a vast range of clinical needs. The Medtronic Dover closed system drainage bags and meters are 100% silicone with latex Foley trays and even offer a premium line of Dover systems. With an extensive line of urethral catheterization trays and kits, Medtronic can tackle any urological need. For bladder irrigation, Covidien can offer a solution to every bladder irrigation need. Medtronic also offers a wide range of external catheters and leg bags, even an entire collection of pediatric urological products that include silicone catheters and urine collection devices. Medtronic Foley catheters are available to patients in a wide range of options that include silver, hydrogel coated, specialty coude tip catheters. Covidien healthcare is a respected name across a wide spectrum of healthcare products. Enjoy peace of mind in knowing that these quality products can allow you to treat and/or manage your medical necessities.